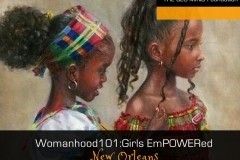 Womanhood 101 places emphasis on women working together to empower young women for the future. 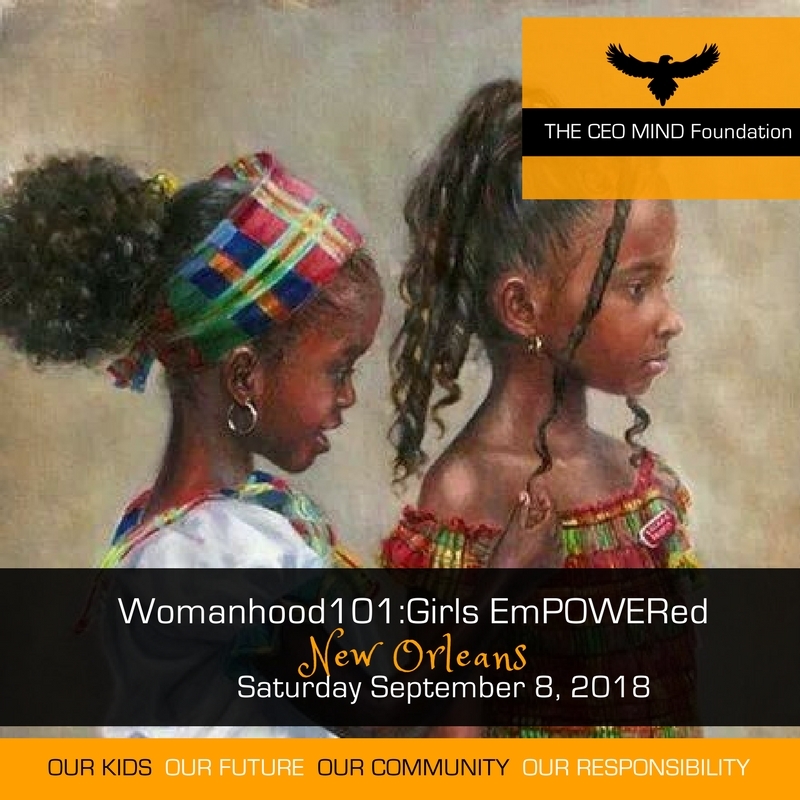 The Womanhood 101 initiative generates personal development of young minds, sharing experiences for growth and insight, collective learning to improve conditions and sharpening skill sets that young women need improve, impact and empower others. 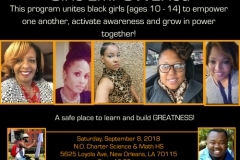 The Womanhood 101: Girls EmPOWERed program, facilitated by powerful women of color with the purpose of positively impacting our girls, unites black and brown girls ages 10– 14 to empower one another, activate awareness and grow in power together.The Womanhood 101: Girls EmPOWERed program provides a safe place to learn and build greatness. Womanhood 101: Young Women’s (ages 14 to 17) EmPOWERment Sessions coming soon! To build self-awareness and social emotional competencies through understanding self and others. To cultivate self-respect and personal responsibility. 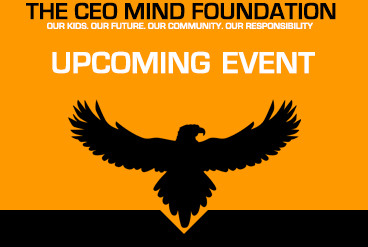 To promote youth entrepreneurship, STEAAM enrichment and making informed choices. 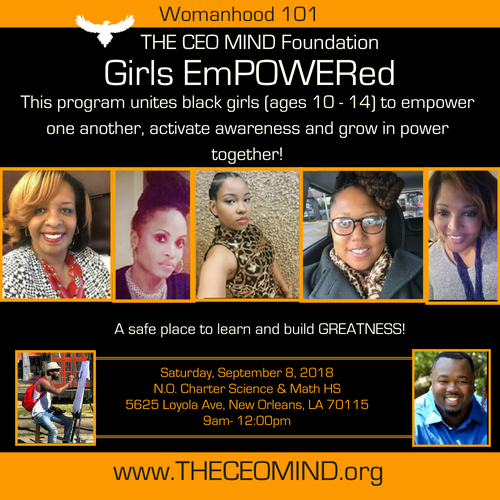 If you would like to volunteer your time to impact and empower our girls through our Womanhood 101: Girls EmPOWERed initiative, contact ca@theceomind.org We thank you for your support of our mission! Click here to contribute financially. 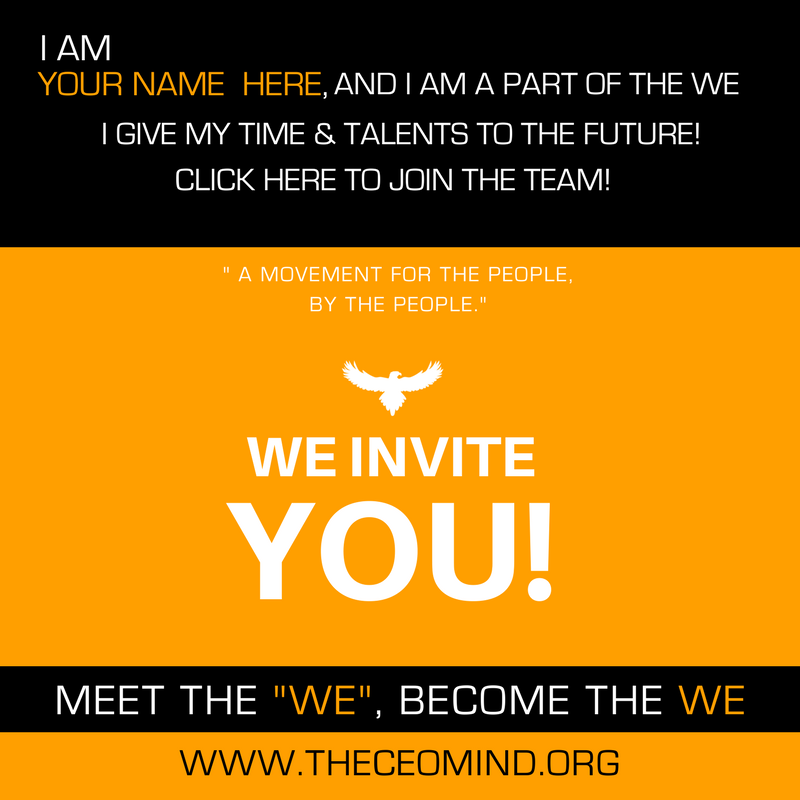 Click here to contact us about other ways you might like to contribute. If you have volunteered or participated in the Womanhood 101: Girls Empowered Program, please take a moment to submit a statement of support!